Oppo has announced its latest flagship smartphone, which it calls the R15. Odds are if you're reading this, you'll never have the chance to buy it. Oppo sells its phones mainly in China, but you might be able to buy a phone that looks an awful lot like it called the OnePlus 6. And look at that—a screen notch. Before we get to OnePlus, let's just go over the R15 to keep up appearances. This phone will sport a Snapdragon 660, 6GB of RAM, a 3400 mAh battery, 16+20MP dual rear cameras, and a 6.28-inch 2280×1080 OLED panel. The display has a chunk missing at the top where the front-facing camera and earpiece live. However, this phone lacks the symmetry of the iPhone X it is so clearly copying. Despite having a notch at the top, there's still a chin at the bottom. Apple folds the OLED back at the bottom to make room for the display controller. Oppo apparently did not do that. OnePlus will deny a direct connection to Oppo, but they share the same parent company. 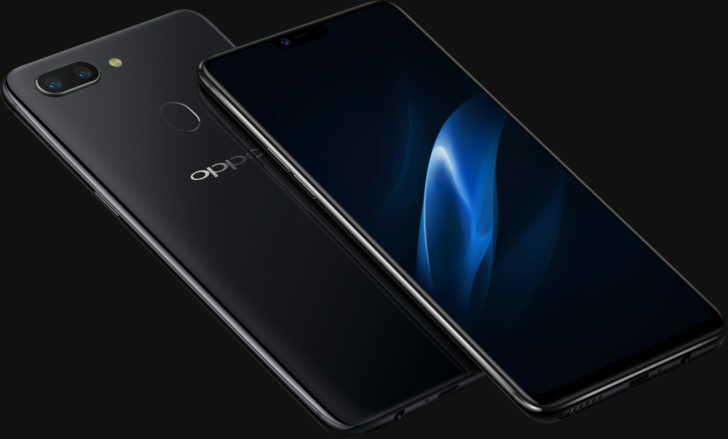 So, it's no surprise that all of OnePlus' recent phones have born a striking resemblance to the corresponding Oppo phone. The R11, for example, is the spitting image of the OnePlus 5. Then, the R11S came along offering a preview of the OnePlus 5T. So, the R15 almost certainly offers a glimpse of the OnePlus 6. The Snapdragon chip will be upgraded to an 845, and there will be an alert slider. You can definitely count on that screen notch, though.